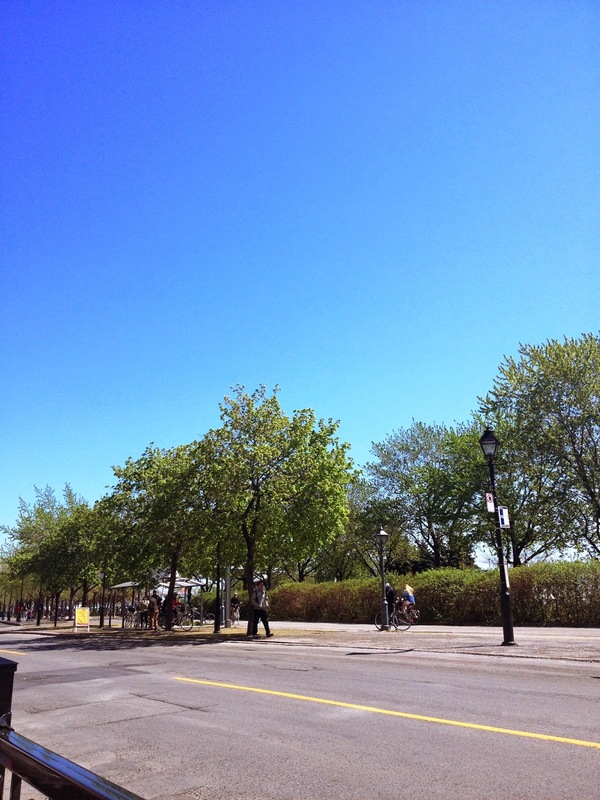 Day 2 started off to a great start while Kate and I wandered around Old Montreal looking for a patio to have brunch on. Once we settled on, La Magasin General I ordered a bacon and cheese omlette and HOLY SMOKES - when it came out my eyes almost bulged out of my head! It was served in a bowl, and must have been at least an inch and a half deep! 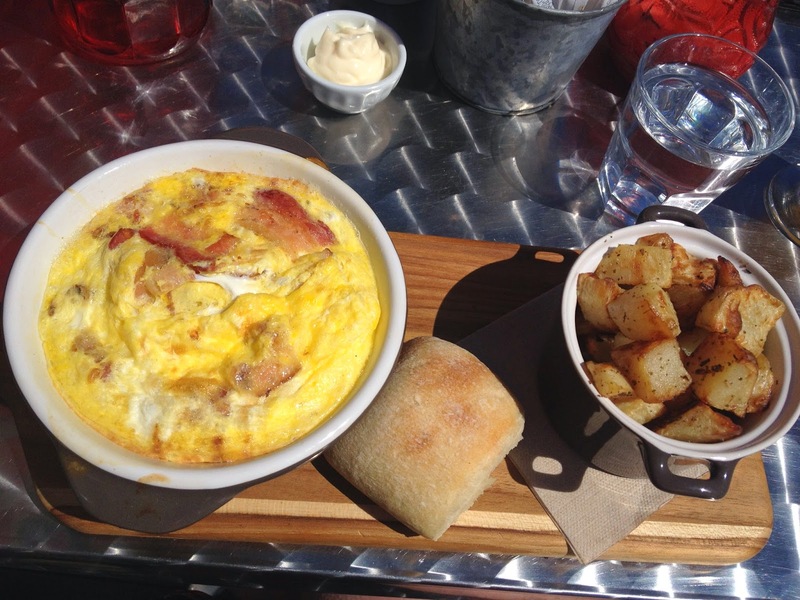 The omlette was served fresh and piping hot with crispy home fries and a bun. 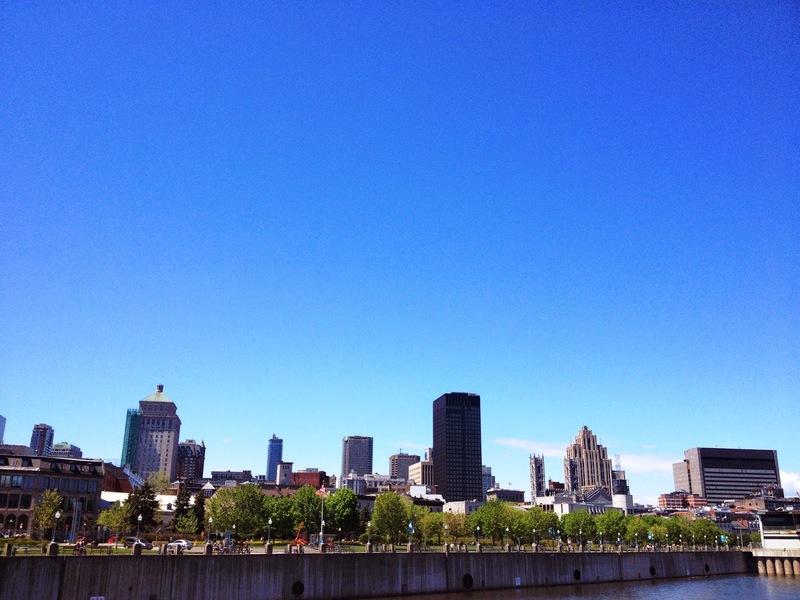 It was the perfect way to start our last day in Montreal - sitting on another patio in the beautiful weather. Picturesque view from the patio during brunch. After brunch we walked along the waterfront and enjoyed the beautiful scenery. 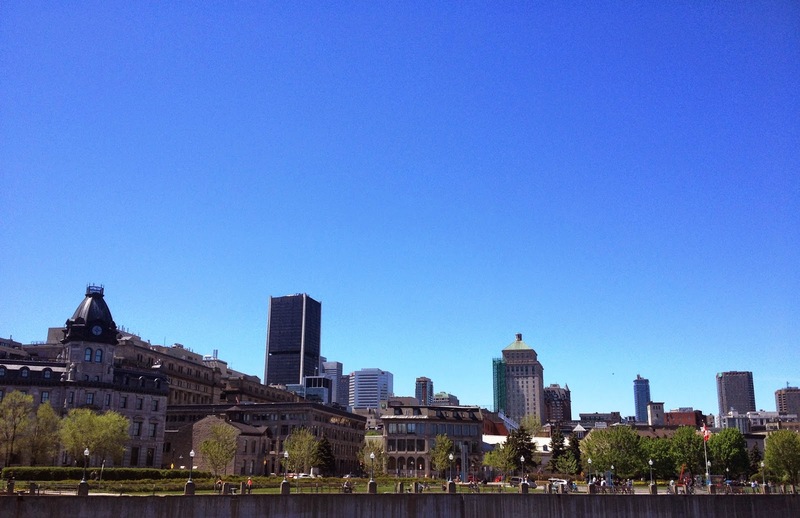 Old Montreal is breathtaking, with a European feel (so I've heard...I've never actually been to Europe). We came across a Mr Felix and Mr Norton Cookie Food Truck, which Kate loved! I had never been to a Mr Felix and Mr Norton when they were in Ontario, but she had and was excited to see the food truck. 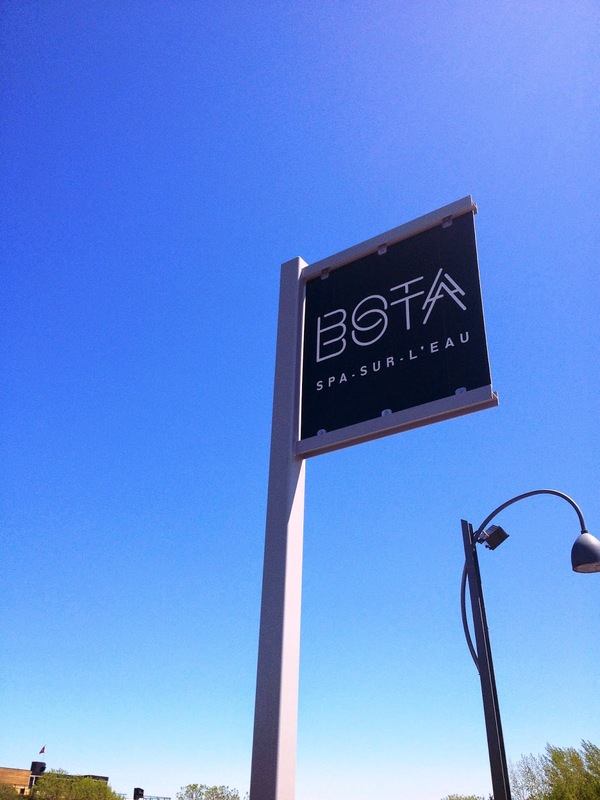 Next on the agenda was a little pampering and relaxation at Bota Bota Spa! Bota Bota is a spa located on a boat, so it does not have a physical address. 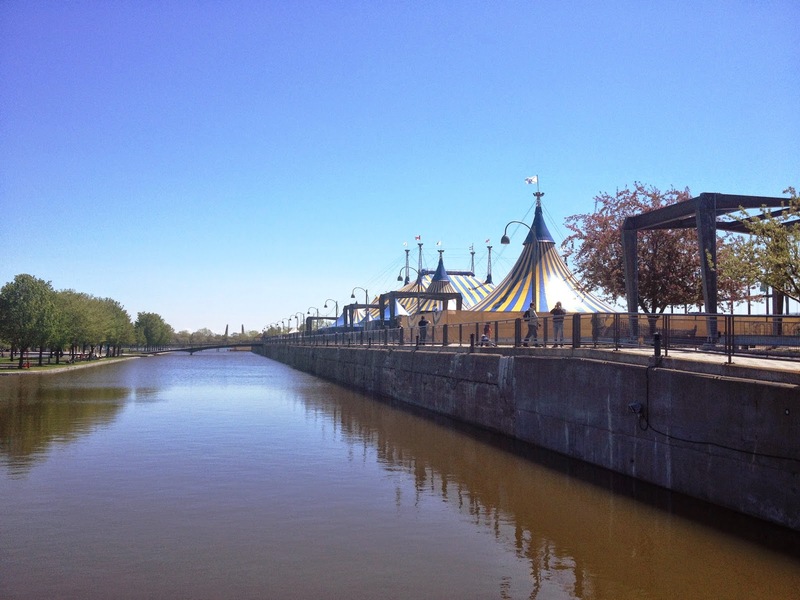 It's located at the corner of McGill and De La Commune West….on the water! You have to walk down a boardwalk walkway to get on-board. 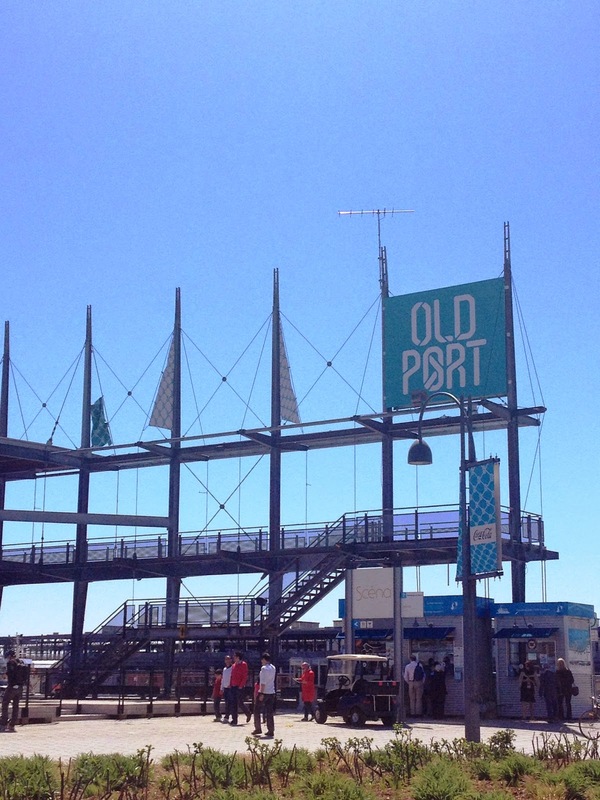 In 2008, The Emond Family acquired the ship with the crazy idea of transforming it into a spa. The family entrusted the ambitious project to Jean Pelland of Sid Lee Architecture, and once transformed, Bota Bota, spa-sur-l’eau officially opened its doors in Old Montreal in December 2010. 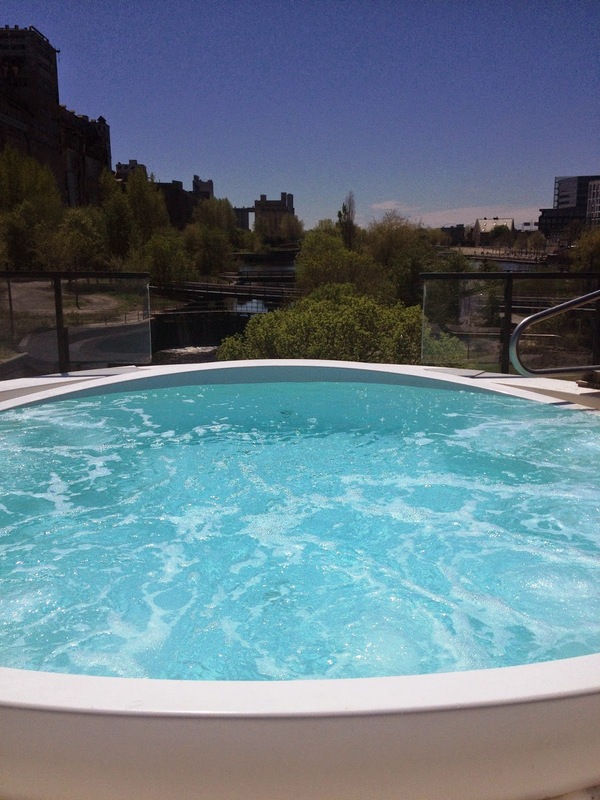 One of the hot tubs on the deck of Bota Bota. 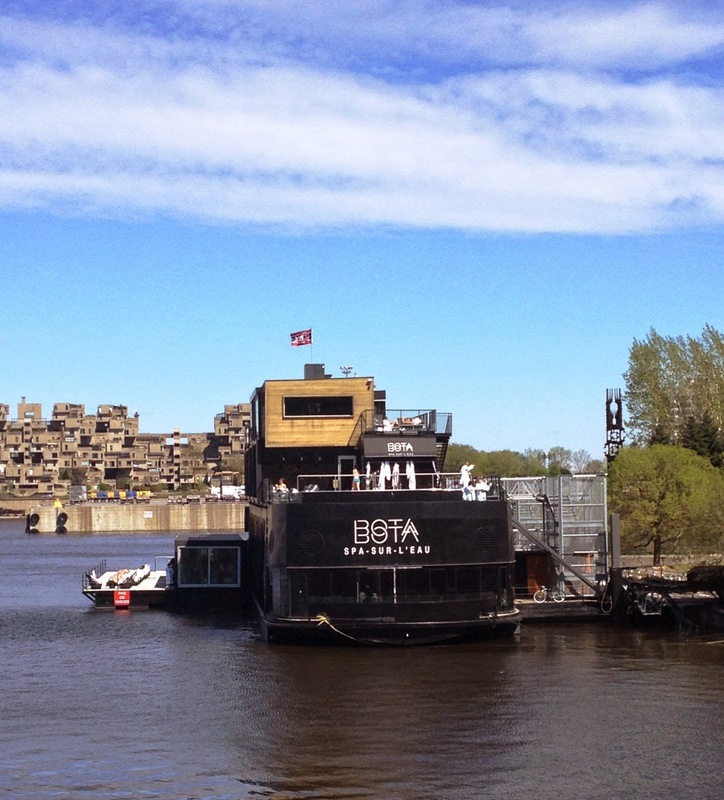 Bota Bota is anchored in the Old Port of Montreal, and offers its passengers the healing benefits of a spa all while feeling the calming movements of the St Lawrence River. 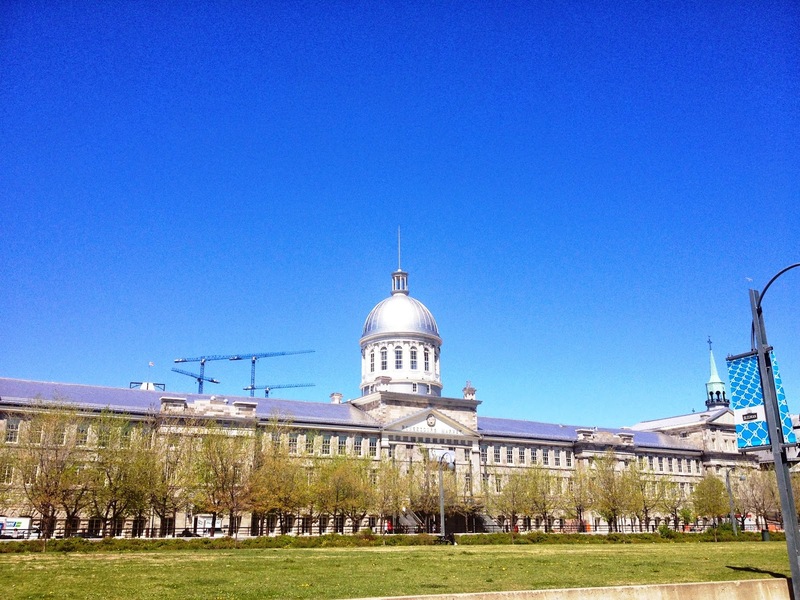 Old Montreal is a beautiful backdrop to be enjoyed while experiencing the water circuit (which includes multiple outdoor hot tubs! ), lunch in the restaurant or any of the spa services. 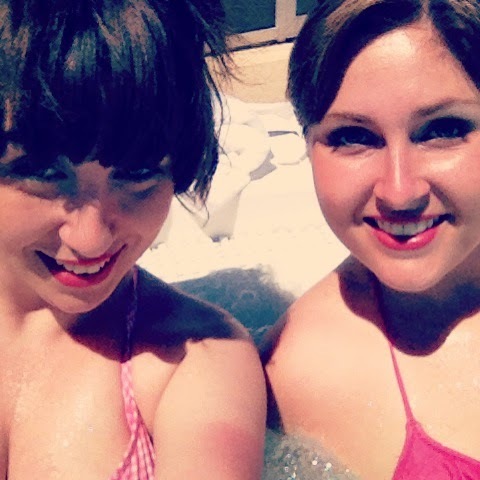 Enjoying one of the many outdoor hot tubs! 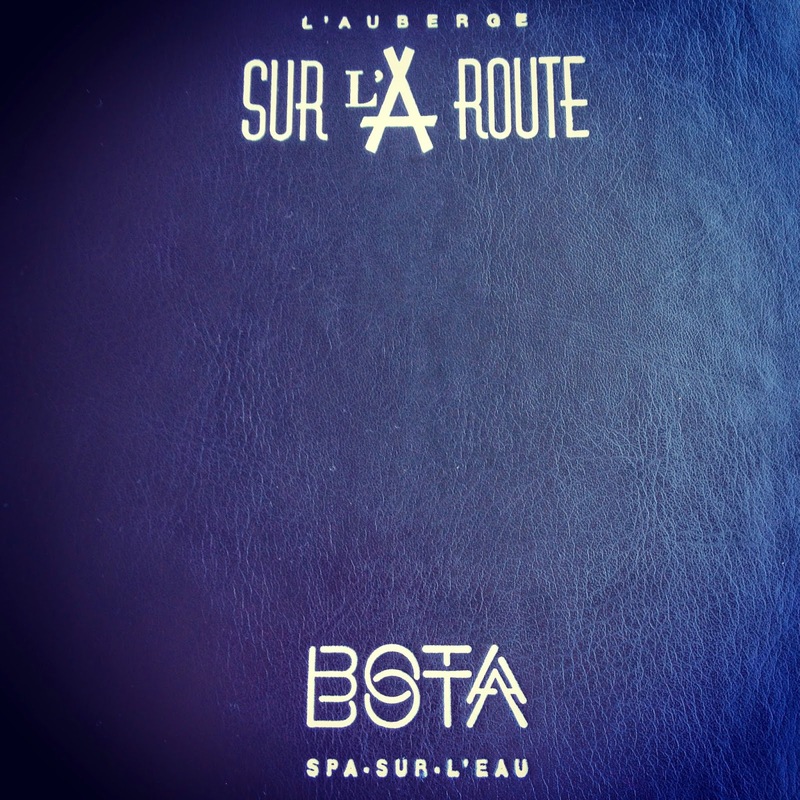 We were lucky enough to have lunch onboard at the Bota Bota, spa-sur-l’eau restaurant, operated by Auberge sur la Route, with Michelin-starred chef Éric Gonzalez at its helm. Affiliated with the reputed Auberge St-Gabriel, where we had dinner the night before, Auberge sur la Route offers a fresh and simple menu, perfect for a spa setting. 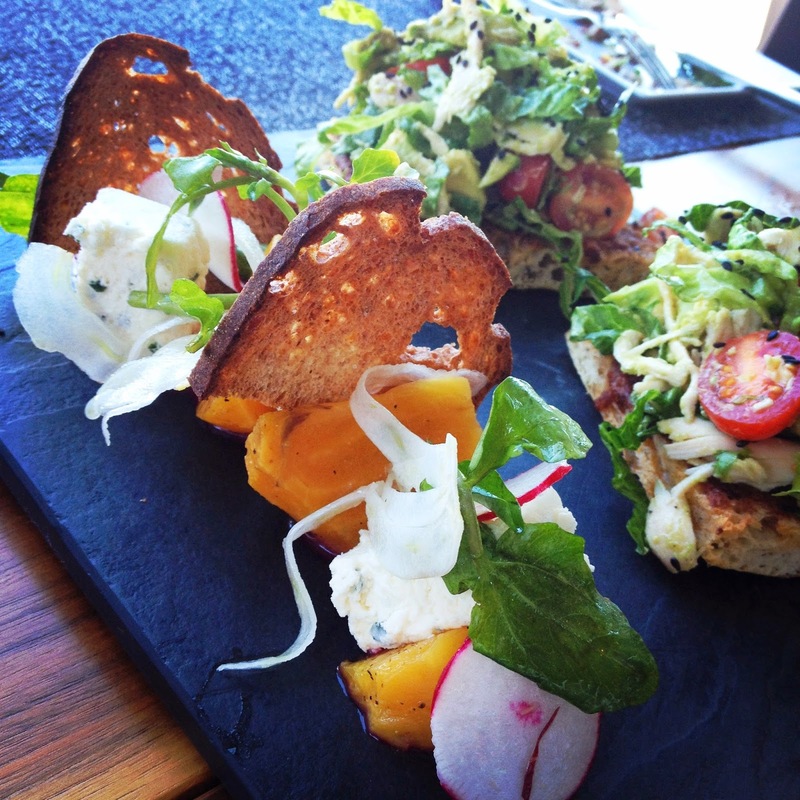 The wonderful restaurant staff at Bota Bota arranged for a tasting menu for our lunch, and they did not disappoint! 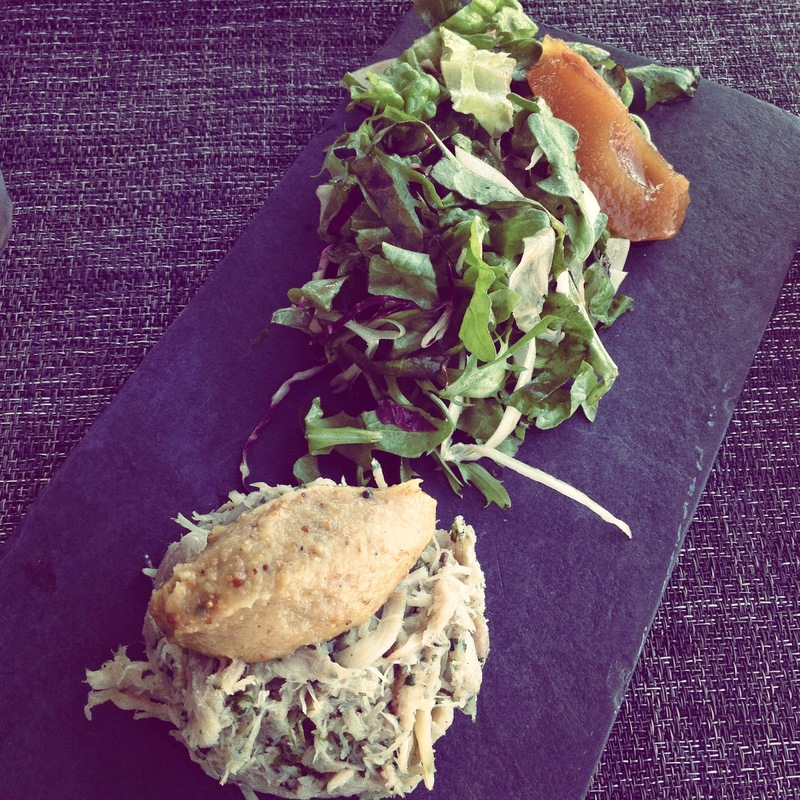 We started out with a platter of Rabbit Pate on a Pear and Fig Chutney. I had never tried pate before, and I was pleasantly surprised at how much I enjoyed it! This entire dish was delicious, and we kept nibbling away at it throughout our whole meal. 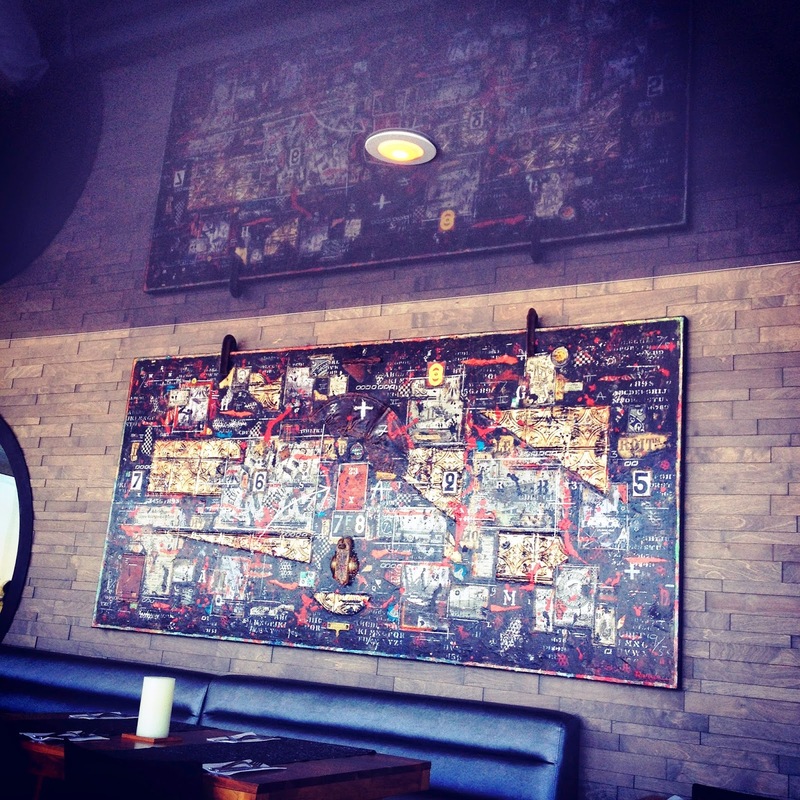 Before heading to Bota Bota, we took a sneak peak at the menu to see what we were in for. There was one dish I was really looking forward to trying, and thankfully the chef prepared it for us as our second starter! 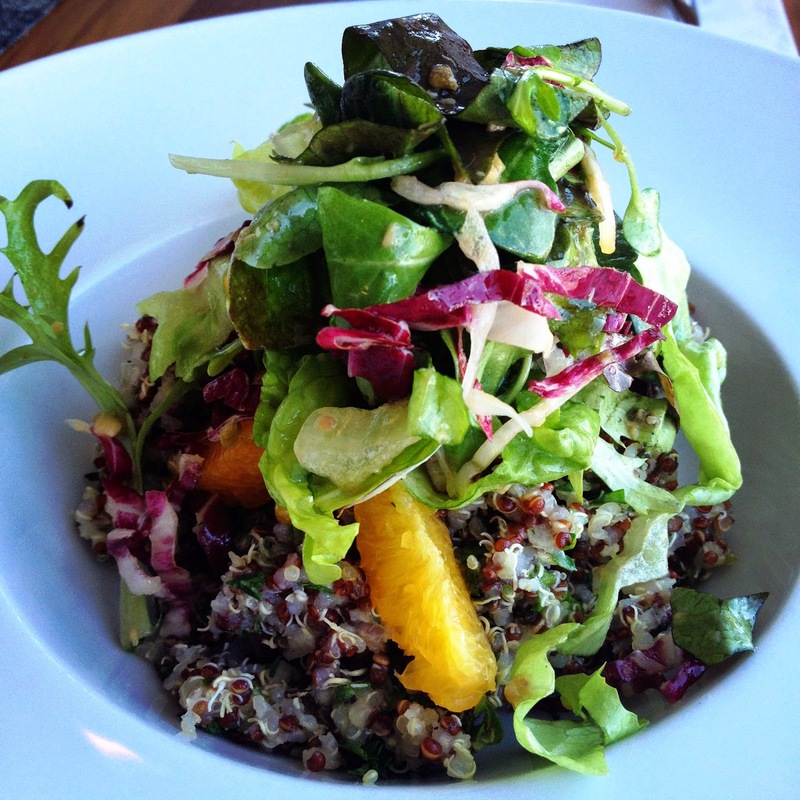 The Quinoa Salad with Oranges and Herbs in a Tapenade Oil. I couldn’t stop eating this salad. It was light and refreshing, perfect dish after spending an hour (or two!) enjoying the outdoor hot tubs and water circuit! Kate was especially excited for the next dish, because it was the one she was most looking forward to trying! 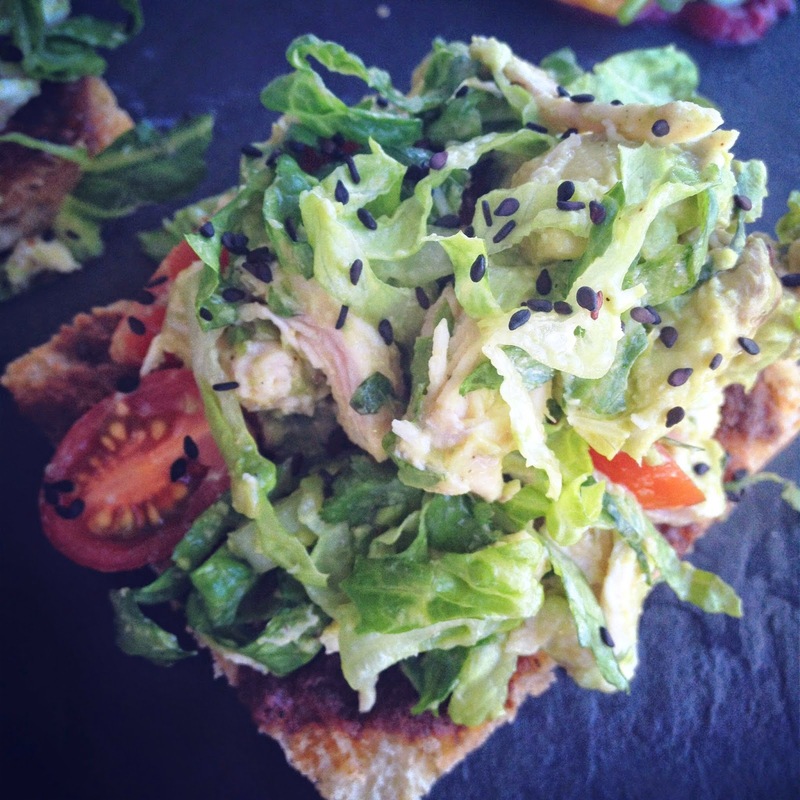 It was the Chicken Foccacia with an Avocado Salad, Tomatoes, Anchovy Paste and Salad on a Pan-bagnat. On the side of the foccacia was a yellow and red beet salad. Everything was so fresh and light and the plating was beautiful. Just when you thought we couldn’t possibly eat any more…dessert was brought out. 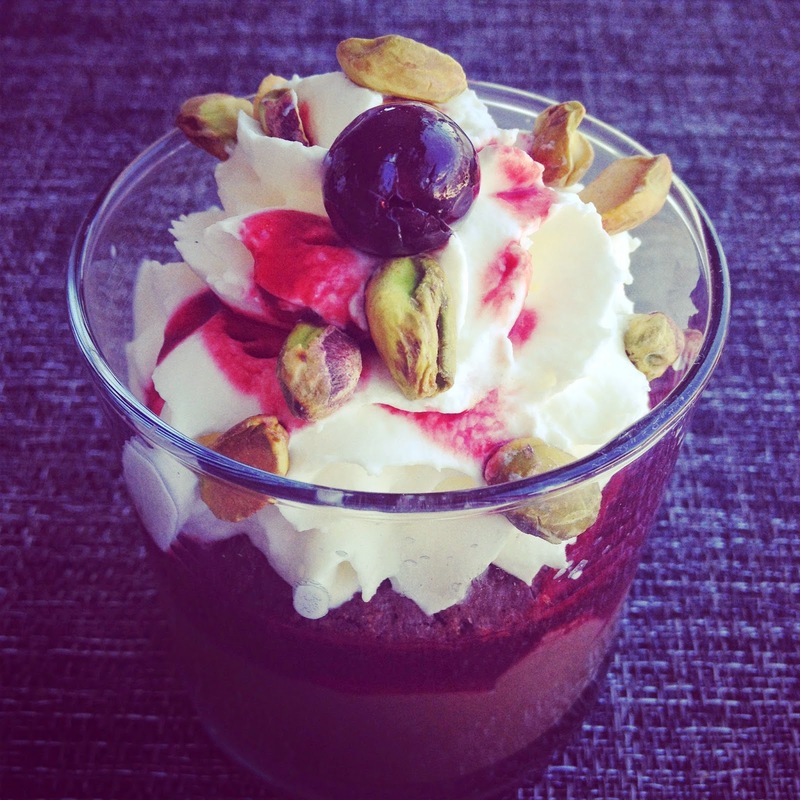 How could you say no to a Black Forest Cake Mousse served with pistachios? EXACTLY! You can’t! This was a nice, light, cool finish to a spectacular lunch. There were multiple layers in the dish, the pistachios and cherries really stood out. It was delicious! After lunch, we had to start heading back to the car to start the long journey home. Neither of us wanted to leave Montreal, and we may have been trying to come up with excuses reasons to stay another night. But, alas – we made our way back to the Cadillac and started driving home. 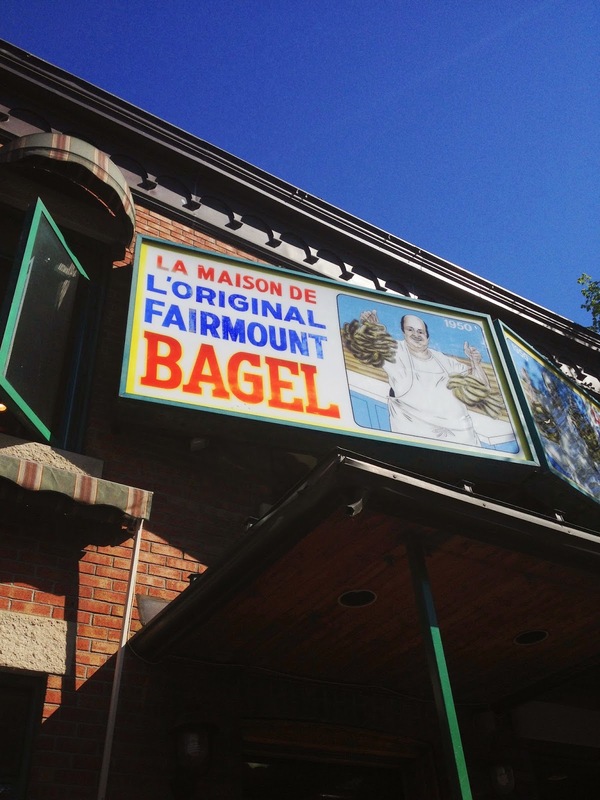 But first, we stopped for bagels at The Original Fairmount Bagels! 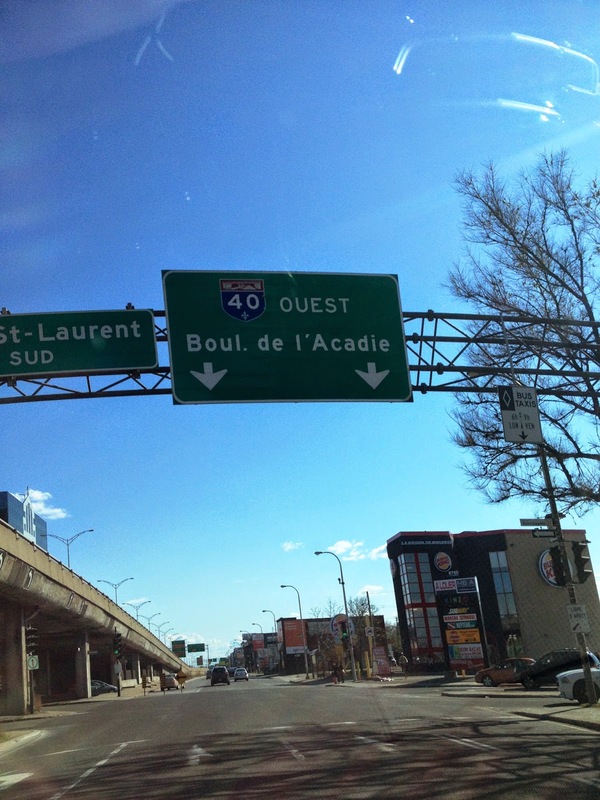 This is a staple when in Montreal. Apparently, they compare to New York style bagels. 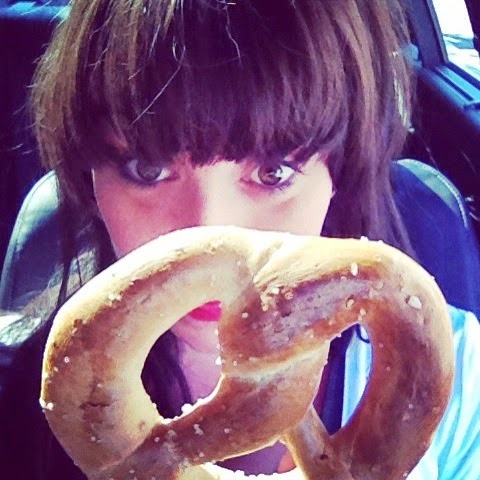 I personally didn’t have a bagel – I did however have a freshly baked pretzel that was the size of my head! I bought bagels for others, and apparently they were devoured – so they must be good! The drive back to Toronto felt like it took FOREVER. After being in the sun all day, driving at night wasn’t something I was looking forward to. However, the CTS was great and because it was the Victoria Day long weekend – I had the fireworks to keep me awake! After a brief pit stop in Port Hope to visit Kate’s parents, where my sunburn was nursed with fresh aloe, we finally made it back home. As soon as I got home, I crawled into bed and didn’t want to get out for the next few days…I did, of course, but reluctantly. But now, as I plan my next road trip – the excitement is building again! Stay tuned!